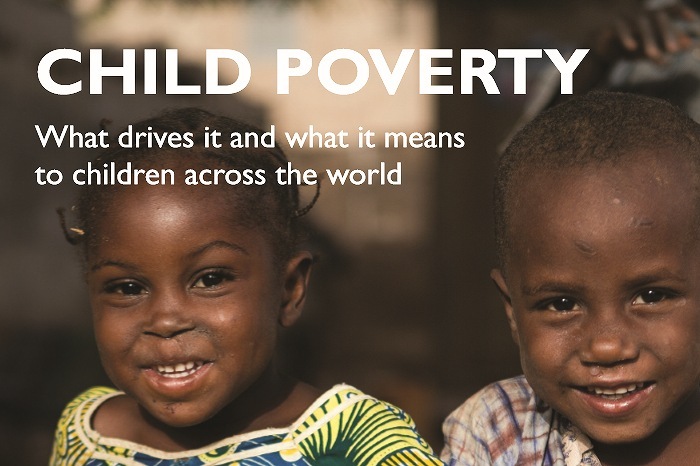 Save the Children is pleased to announce the launch of a global Child Poverty Report on January 19. Our new report looks at the situation of children living in poverty in countries around the world, shining a light on the drivers of child poverty and exploring why it persists, even in some of the wealthiest places. We also hear from children in poverty themselves: our best guides to understanding the urgency of this challenge. Most of the poorest children live in low and middle income countries as well as in conflict-affected zones. The report describes how these children experience poverty as stark deprivations in realising their daily needs, and as damaging exposures to failures of protection. And even in the richest countries, tens of millions of children still live with uncertain access to food, inadequate shelter and social services, and with the damaging effects of social exclusion. Living in poverty means insecurity and risk. Children in poverty are the most exposed. We examine how shocks and crises expose the poorest children to the risks of exploitation, forced marriage, trafficking, the effects of climate shocks, and environmental hazard. Child poverty is also underpinned by inequalities. Economic inequalities are reinforced by social exclusion, by biases in service delivery, and by many forms of discrimination – notably on the basis of gender, disability and minority status. Children around the world speak movingly about the pain they feel and the scars they bear as a result of poverty and marginalisation. They talk of how they endure stigma, shame and a loss of self-esteem. In many places too, the outward signs of poverty attract ridicule or insult, causing deep psychological damage to young minds. With the adoption by all Governments in 2015 of the Sustainable Development Goals, eliminating child poverty is now a universal commitment as well as an urgent global priority. The new Goals express the commitment to “end poverty in all its forms everywhere” by 2030. The SDG targets recognise not only income poverty, but also “poverty in all its dimensions” as it affects “children of all ages.” But without explicit recognition of the challenge of child poverty by decision-makers at all levels, and dedicated efforts to address it, this first SDG will not be met – and the task of reaching other Goals, in areas such child survival, nutrition and learning, will be immeasurably more difficult. Our new report is part of a concerted effort by Save the Children, together with our partners in the Coalition to End Child Poverty, to ensure that the poorest children across the world receive the attention that they deserve. While there are great differences between societies, it is clear that fundamental similarities exist in the drivers and experiences of child poverty. The same is true of the essential solutions. Acting with determination to achieve these solutions is an imperative for us all. This post was written by Richard Morgan and Kate Kenny at Save the Children. Save the Children (2016) Child Poverty: What drives it and what it means to children across the world. Author: Save the ChildrenSave the Children is an international NGO that promotes children's rights, provides relief and helps support children in developing countries.